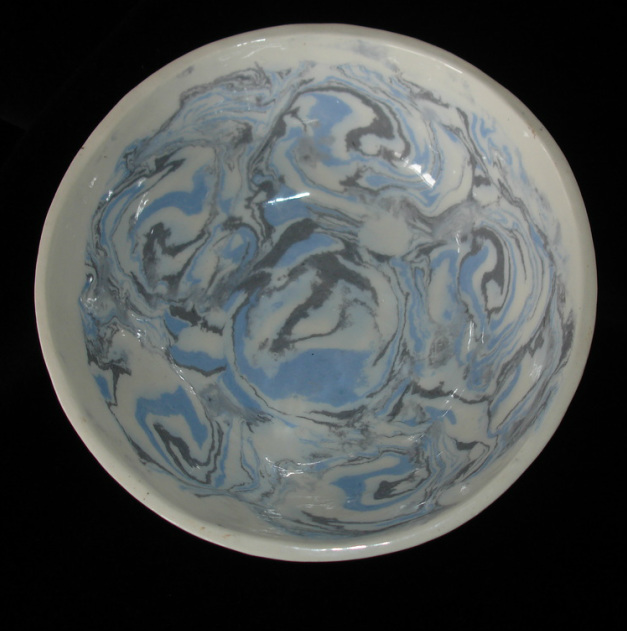 This was very much an experiment in mixing oxides into white clay and seeing what came out. These are the best results of the experiment, one hand built one thrown on the wheel. Someday I'll go back and try again because the results are really quite beautiful. Sold before I captured a picture of the glazed finish!